Marcia grew up in a small town in northern Michigan. It was a place, at the time, abundant with nature and exploration. Marcia's love for nature and wildlife stems from childhood when her father would take her on adventures such as mushroom hunting, fishing, and wild blueberry foraging. She admits her love for the television show that intrigued many people of that generation to love wildlife and adventure: Mutual of Omaha's Wild Kingdom with Marlin Perkins. From the age of eight, she knew she was destined to go to Africa and see some of this wildlife herself. 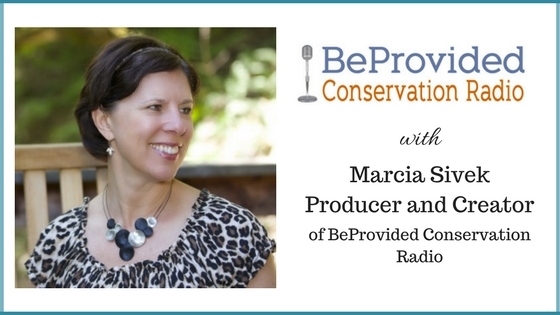 She created this podcast to help spread the word that there is still hope to protect our planet and the beautiful things that cannot protect themselves if we just share stories, get together as a community and reconnect with our love for nature. Too many of us stay plugged in to technology without taking time to reconnect with nature, slow down and just breathe. This is the first podcast with co-host Grey Hayes. Grey is an ecologist and grassland steward. We will hear more from Grey next week!